With autoimmune disease, we all have more in common than not, with similar root causes and similar treatments. That's why most of my episodes speak to general topics that can help us all. But occasionally I do diagnosis spotlights, taking a deep dive into one specific autoimmune disease or a category of autoimmune disease. 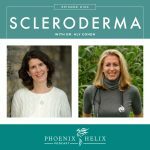 Episode 27 focused on Hashimoto's disease, Episode 49 on Rheumatoid Arthritis, Episode 75 on Neurological Autoimmune Conditions, and Episode 83 on Inflammatory Bowel Disease. 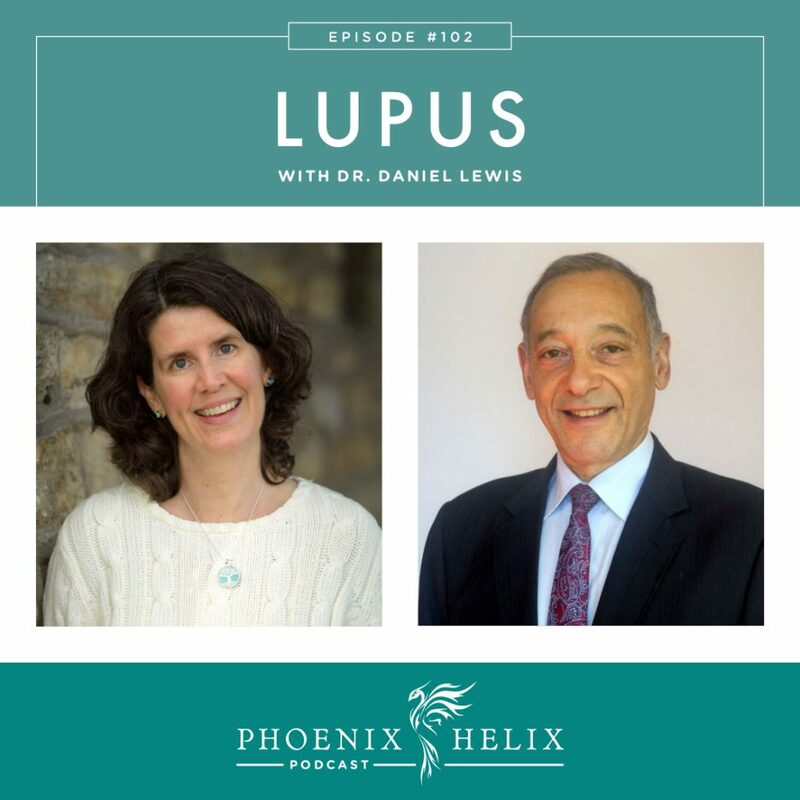 Today, we're focusing on Lupus, and my guest is Dr. Daniel Lewis, a rheumatologist practicing in Melbourne, Australia. He was one of the first integrative rheumatologists in the world and has 25 years of experience combining the best that conventional, alternative, and nutritional medicine has to offer. The average adult in the United States uses 9 personal care products daily, containing over 100 unique chemical ingredients. What you may not know is that your skin absorbs those chemicals. Some medications are even prescribed as patches, because the skin is such an effective path to the bloodstream. That's why I love Luminance. Their products are natural, organic, wildcrafted, non-GMO, and gluten-free. 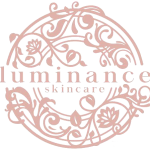 Whereas conventional skincare products are full of chemicals that can hurt our bodies, Luminance is made from ingredients that nourish. They have a complete face care and body care line, including cleansers, moisturizers, toner, acne serum, and more. They offer sample kits of their most popular facial products: Delicate Cleanser, Rosewater Toner & Deep Hydration Moisturizer. They even sell a natural sunscreen. Made from just 4 ingredients, it uses the absorption characteristics of Red Raspberry Seed Oil to naturally and safely screen more than 98% of UVA and UVB rays. It would take an SPF rating of at least 35 to match this performance. How cool is that? Place an order here, and use the code HELIX for 10% off your first order. Dr. Daniel Lewis is an integrative rheumatologist practicing in Melbourne, Australia, with over 25 years of experience. 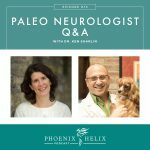 His passion is integrating lifestyle strategies into the mainstream management of autoimmune and pain conditions. He was one of the first integrative rheumatologists in the world, doing research into the impact of diet and lifestyle back in the 80’s. He’s also an associate lecturer in the Department of Medicine at Monash University. He was introduced to Traditional Chinese Medicine and Ayurvedic Medicine early in his career, which broadened his approach beyond his conventional medical training. However, the conventional training has been valuable as well, and his specialty is combining these approaches to best serve his patients. Lupus is a multi-system autoimmune disease, and it can affect almost every part of the body, including joints, skin, muscles, and organs. It's unclear what exactly is being targeted to elicit such a wide-ranging response. For this reason, it can be difficult to diagnose, because symptoms overlap with many other conditions. That said, the kidneys are commonly attacked with lupus, so that's a potential indicator. Diagnosis is an art form, and it requires putting a lot of puzzle pieces together and finding some of the hidden clues. 80% of those diagnosed are female. Diet changes our gut microbiome, and since so much of the immune system lives in the gut, this can have a major impact on autoimmune health. The first study on nutrition and inflammation was conducted in the 1950's, and it showed that fasting followed by a plant-based diet reduced inflammation. Dr. Lewis did an experiment in his own clinic 20 years ago with a diet very similar to the paleo autoimmune protocol. The patients who participated had rheumatoid arthritis. Over the course of 6 weeks, they experienced a 70% reduction in inflammation. Unfortunately, after the study, most of the patients found it too difficult to continue the diet. That's changing. Now, he has many patients who are interested in making diet & lifestyle changes. Terry Wahls research into The Wahls Protocol for multiple sclerosis. The AIP for patients with IBD, in which 73% of patients reached remission. They have meal plans available, which are actually meal packages designed to supplement your home cooking. They include 10 full meals (main course + side dish), plus 2 soups. These are also great for vacations, or a gift for a new Mom. When it comes to testing, Dr. Lewis carefully analyzes the benefit vs. cost. He's very respectful of the financial burden of chronic illness. Heart rate variability is an inexpensive way to measure the body's stress response and see the impact of lifestyle strategies on a day-to-day basis. There are now smartphone apps that can provide this feedback. Omega 3:6 levels are strongly correlated with lupus outcomes. For that reason, this is a valuable test to run. Omega 3 fatty acids are the anti-inflammatory fatty acids found in fish. Omega 6 fatty acids are found in vegetable oil and grain-fed meat, and they can be inflammatory. An ideal blood ratio is 1:1. In the mainstream population, it's closer to 1:25. An AIP diet moves the ratio in a positive direction. Supplements can help as well. For individuals who have been exposed to toxic environments, he might suggest heavy metal testing. He expects to do more microbiome testing in the future, as research grows. Fasting glucose levels are also very closely related to patient outcomes. This is a standard test normally covered by insurance. Before recommending supplements, Dr. Lewis highlights 3 things that should be part of everyone's diet: water, vegetables, and extra-virgin olive oil. Omega 3 Fatty Acids. To move the omega 3:6 ratio in a beneficial direction. Curcumin. It has many anti-inflammatory benefits. Vitamin D. Sun sensitivity is common with lupus, which is why supplementation is often indicated. Together with his patients, Dr. Lewis measures the benefits and risks of medication against the severity of lupus symptoms. With mild lupus symptoms, he's supportive of trying diet and lifestyle alone, so long as they monitor inflammation closely. However, for people with more severe symptoms, he doesn't recommend they go completely medication-free. He likens it to driving without a seat belt. If a flare happens, it can escalate very quickly, and with lupus, organ damage can result. He recommends people stay on hydroxychloroquine/Plaquenil. It's one of the safest medications with rare incidents of side effects, and a documented benefit of reducing risk of lupus flares. If someone is on medication and starts implementing positive diet and lifestyle changes, he helps them slowly wean down their medication to a minimal level. The first medication he tries to reduce is corticosteroid medication, since there are so many negative side effects. Some people are able to get off this medication altogether. The exception are those with kidney damage (who are at risk of kidney transplant if they have another severe flare). Dr. Lewis then recommends a low minimum dose of corticosteroids to help keep inflammation at bay. If you have a lot of anxiety about taking medication, hypnotherapy can be a powerful technique for uncovering the root of the anxiety. While it's tempting to want to take a vacation from self-care practices, now is the time when you have the energy to really focus on them. So, Dr. Lewis recommends increasing self-care at this time, focusing on all of the Pathways to Wellbeing. That's the best support for maintaining remission. Dr. Daniel Lewis has 2 websites: one for his clinical practice and one for patient education. He lives in Melbourne, Australia, and is accepting new patients locally. He also consults with people worldwide over Skype. He also has a self-paced meditation course available through his education website.